There are rare occasions when a children’s book makes me laugh out loud. Roald Dahl does it for me. As does Shel Silverstein. 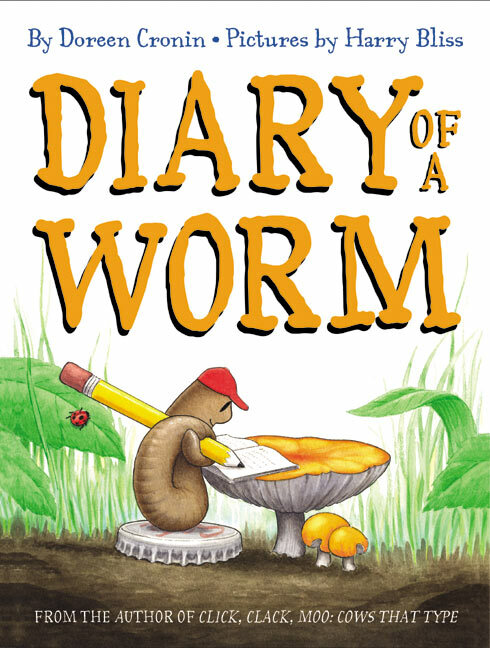 And now Doreen Cronin has added herself to that esteemed list with her book, “Diary of a Worm.” Wanna know the line that literally made me snort? It’s the June 15th entry in the little worm’s diary in which he writes, “My older sister thinks she’s so pretty. I told her that no matter how much time she spends looking in the mirror, her face will always look just like her rear end. ” You chuckled didn’t you? Admit it. Want more? Go get this book immediately and be ready to giggle the day away with your kids. Love it love it love it.